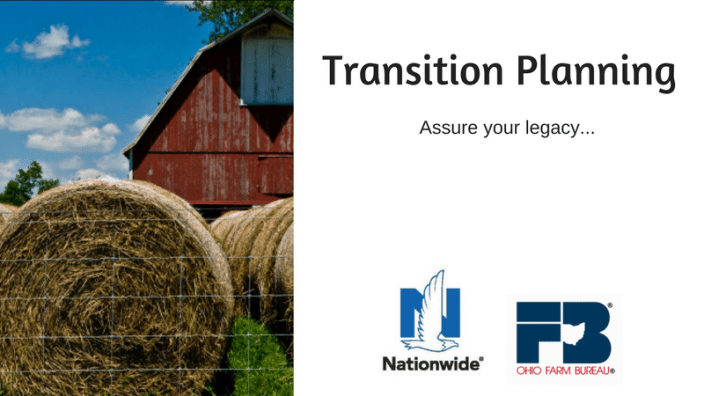 Join the Auglaize, Mercer and Shelby County Farm Bureau with their partners Nationwide Insurance for a discussion on estate planning. The evening will help attendees get started on understanding the steps to transition your farm. This no obligation meeting will cover topics like the benefits of a transition plan, who needs a plan and what you need to get your plan in place. The evening will begin with a light meal at 6:30 p.m. and follow with the meeting. Please call the office to reserve your spot today at 877-775-7642 or email [email protected].